BROTHERS IN ARMS, ‘THE GURKHAS’. The idea of this page is the work of a fellow Veteran, Mr Robert Gray, who tirelessly works for equality for ALL Gurkhas, serving and Veterans. 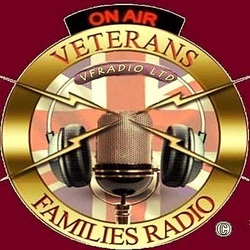 Veterans Families Radio are proud to have been asked to promote the work of Robert and his small team of Admins with the above named Face Book Page. Robert is asking as many ex forces Veterans to please Join the Group and to spread the word of how over the last 200 years The Gurkhas have given both Crown and our Country their unflinching Loyalty. The Gurkhas deserve all the recognition we as fellow Veterans can give them and it is with this hope I have made this page dedicated soly on Roberts behalf, and to try and get his message out into the wider Veteran community and hope you as veterans will support Robert and his aims. Generations apart: Hong Kong Gurkhas and their offspring from South China Morning Post on Vimeo.